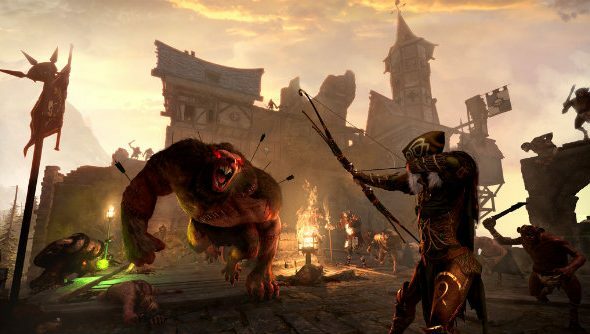 Fatshark have released some free and paid DLC for Warhammer: End Times – Vermintide today, and you’ll be able to invite your friends to the new map unlocked by the latter even if they don’t own it. Vermintide is good. Like, really good. So are the games in our list of PC’s best games. The free DLC offered to Vermintide players today is a horde mode called Last Stand. In a game about a plague of giant rat men, I think they’re allowed a horde mode. This free DLC also includes the map ‘The Town’, set in the brilliantly-named Von Jungfreudsplatz in central Ubersreik. The paid Schluesselschloss DLC brings a new map to Last Stand for £1.99, and lets you play the map with your friends whether they’ve purchased it or not. You can buy Schluesselschlosson Steam now.